I recently read The Dinner and Euphoria, both absorbing and readable books but haunting at the same time. Great fodder for conversation or a book club discussion. This page-turner is a translated novel by the Dutch writer Herman Koch. Koch takes you through a complex story theme in the timeframe of one dinner at an upscale restaurant in Amsterdam. Two brothers and their wives are out to dinner. One brother is a politician, the other is an unemployed history teacher. There is sibling tension and a cultural chasm, but none of that compares to the nightmare brewing in the background. Their children are involved in a horrific situation and the tension between the two families builds to a shocking conclusion. It’s raw, harsh, disturbing and thought-provoking. Typically I like more approachable characters and storylines, but I admit I couldn’t put this book down. Once done, I couldn’t stop thinking about it. “Unsettling” is the final analysis of the New York Times review. I have to agree. 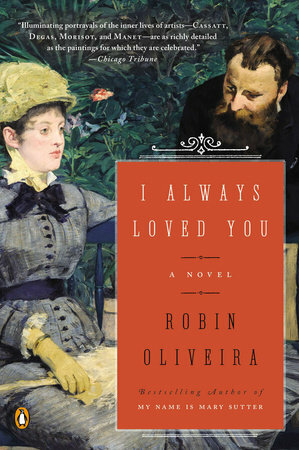 I recently read I Always Loved You by Robin Oliviera, a fictional look at the relationship between American artist Mary Cassatt and French Impressionist Edgar Degas. It’s not as much a true love story as it is a reflection of the time. The late 1800’s Paris was the boom of independently minded artists who brought the impressionist movement to life. Those visionaries included not only Cassatt and Degas, also the likes of Renoir, Caillebotte, Monet, Cezanne, Pissaro, Morisot and Manet. The author of I Always Loved You intertwines their lives and creates a fascinating story featuring tumultuous relationships, radical ideas, and ambitious Impressionism. Results? Well, we’re all familiar with the consequence of their genius. During a recent trip to Boston I visited the Museum of Fine Arts and spent considerable time in the Impressionist section. 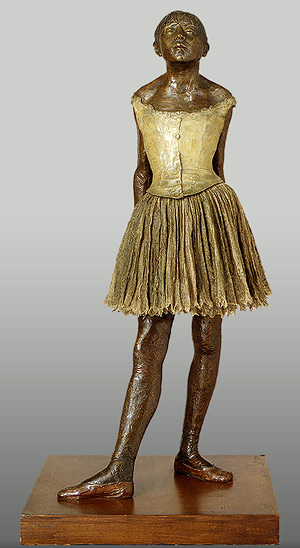 On display are notable Degas pieces along with his Little Fourteen-Year-Old Dancer sculpture, which is divine. The museum also has a few Mary Cassatt pieces, The Tea and In the Loge for example, but they are featured in the American Artists section, not the Impressionist section, which is bit disappointing given her deep devotion and contribution to Impressionism. I Always Loved You is a delightful story for those fascinated by the romance, brilliance and masterpieces of the Belle Époque. I really enjoyed this book, I hope you do too. Hey Seattlites, this is one you won’t want to miss! Author Susan Casey will be reading from her latest book “Voices in the Ocean: A Journey Into the Wild and Haunting World of Dolphins,” at the Seattle Public Library’s Microsoft Auditorium on Monday, August 17, 2015, 7 – 8:30pm. I haven’t read this book yet but here’s the scoop from B&N. No writer is better positioned to portray these magical creatures than Susan Casey, whose combination of personal reporting, intense scientific research, and evocative prose made The Wave and The Devil’s Teeth contemporary classics of writing about the sea. In Voices in the Ocean, she has written a thrilling book about the other intelligent life on the planet. 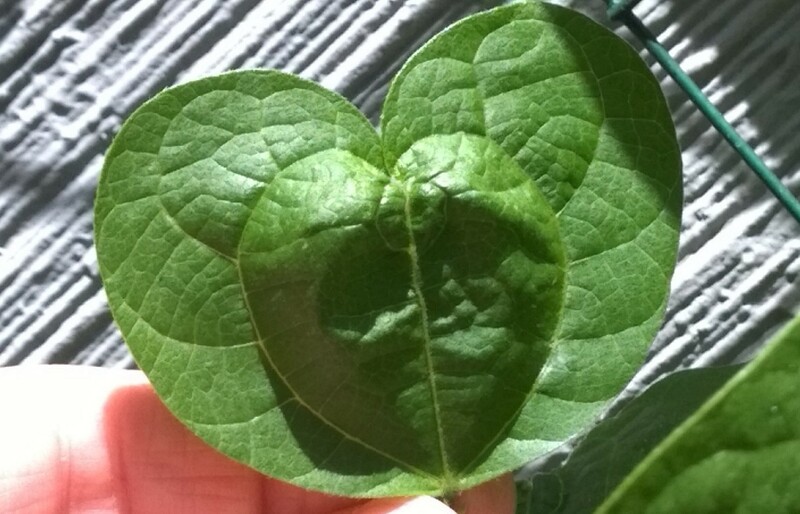 A heart-shaped leaf on my climbing green bean bush. OK this isn’t about books but it’s one of those awesome miracles of nature that I just had to share. This year I’m getting more than green beans from my climbing bean bush! Check out this beautiful little heart-shaped leaf. It’s perfect. If you’re anything like I am, sleep can be elusive at times. It seems to be a phenomenon in today’s highly active electronic world. Go, go, go and you do nothing without your electronic device. I wanted to share this great 3-part article in the New Yorker magazine by Maria Konnikova. She’s gathered some impressive research that’s been done on sleep trends in the US. Not surprisingly she concludes we are all sleep-deprived zombies. Ultimately, she says, the one consistent sleep remedy, along with a few others, is reading – reading real books that don’t shine bright lights into your eyes right before you try to sleep. We all know this but it’s hard to put down the computer, the Nook or any other reading gadget, and just read a book. Why Is Sleep So Elusive? Friends, I have to give a shout out to The Plover. This book had special meaning for me and, I suppose, to others who have spent long periods of time sailing in open waters. “Would you — so the helmsman answered, Learn the secret of the sea? If you love the magic of the sea, you will love this book. It is charming in every way. It had me laughing, crying and wishing it would never end. That is the beauty of this well-written mystical story with real-life meaning. But like any long distance ocean voyage, this book had a few doldrums in the way of one-page sentences here and there, not many, but watch out for those. The author, Brian Doyle, is local and lives in Portland, OR. I’m particularly proud that such a creative and engaging story came from one of our own. He’s developed a group of characters, not all human, and created a sea adventure that will keep you reading, not just for the adventure, but for the life lessons, emotions and insights into the human spirit. Plover was a delightful book. I was sad it ended and I still think about it weeks later. It’s a keeper. I loved it. My neighbor put her Free Little Library up recently. 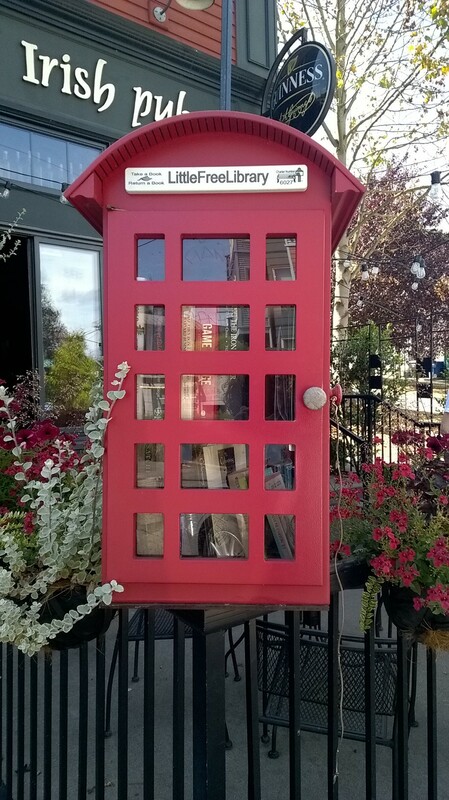 Mullaedy’s Irish Pub has had their Free Little Library for several years. 1. To promote literacy and the love of reading by building free book exchanges worldwide. The goal is to build over 2,500 Little Free Libraries to promote reading for children, literacy for adults and provide free libraries around the world. And it’s a great way to get books off your crowded bookshelf to share with others! I’m considering hosting one. To find out more go to the Little Free Library website and follow the directions in Get Started link. While you’re on the site, check out your neighborhood by going to Locations. 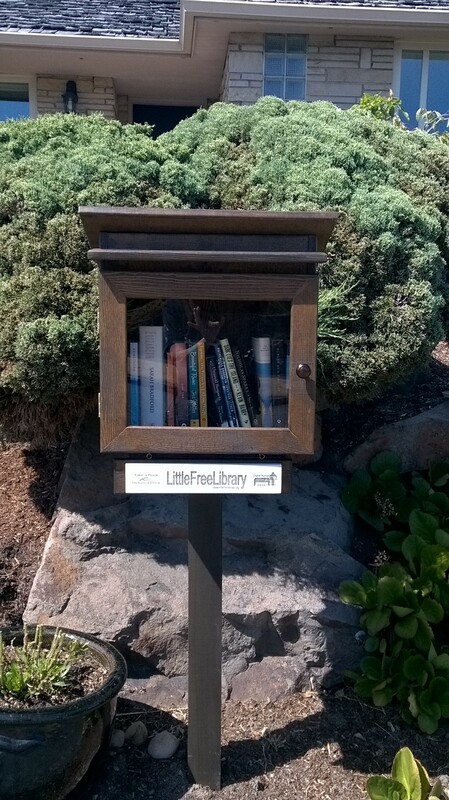 How many Little Free Libraries are close to you?